When setting out on a road trip, AUTOMOBILE staffers have the luxury of picking from a wide variety of vehicles. Twisty roads might call for our Alfa Romeo 4C, dusty roads might require our Jeep Cherokee Limited, and coned-off parking lots might have us grabbing keys to the Ford Fiesta ST. 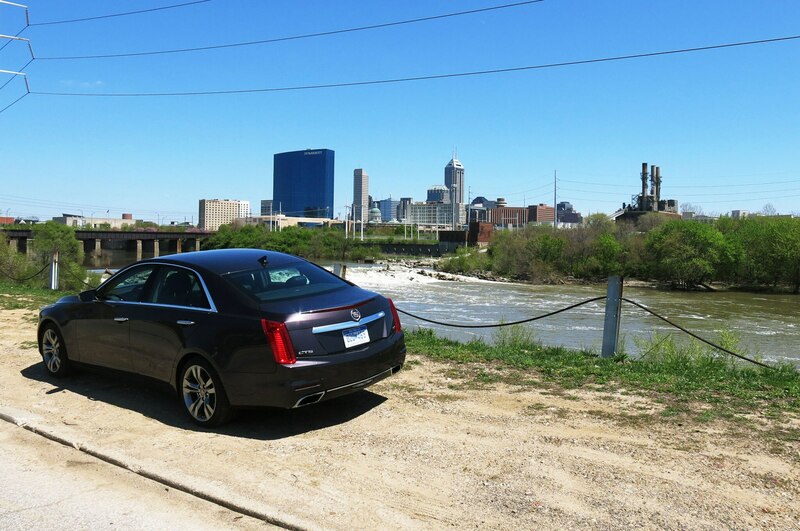 When I needed to head to Indianapolis and back for an overnight trip to visit Andretti Autosport, I didn’t think twice about picking our 2014 Cadillac CTS Vsport. 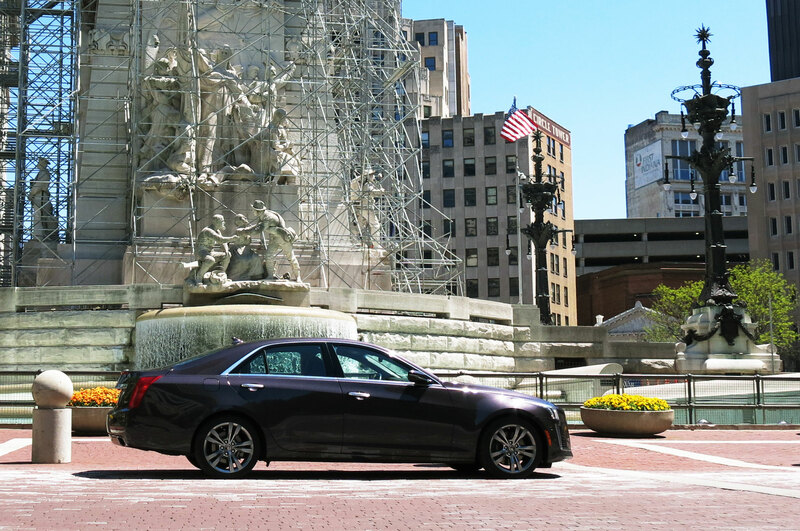 Over the past year, we’ve spent countless hours and words debating whether the 2014 Cadillac CTS has too much Vsport for its own good. 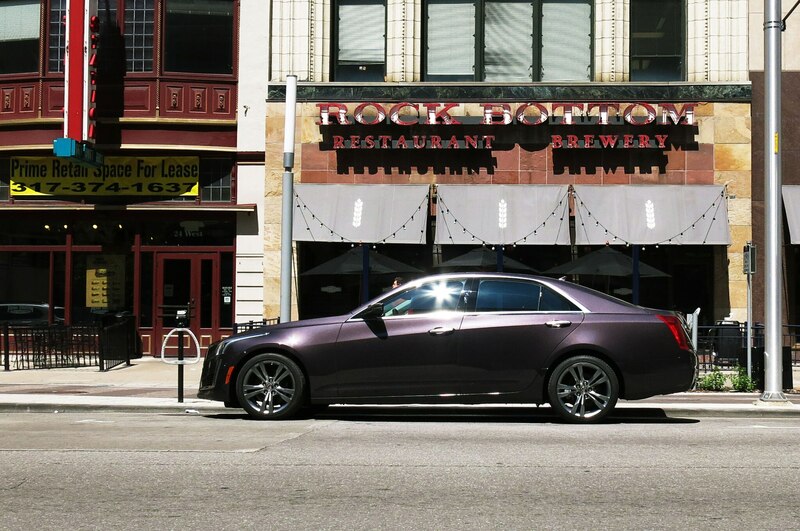 As others have noticed, our 2014 Cadillac CTS never lets you forget its sporty intentions on the freeway. The excellent steering gives perhaps just a bit too much feedback at speed, tramlining on grooved pavement and twitching over the road’s crown as you change lanes. It can be annoying on rough roads, although I appreciate the feedback when I turn off the highway and dart around winding two-lanes. On I-69 south, however, I keep turning the radio up to muffle the sound of the Pirelli P Zero tires. 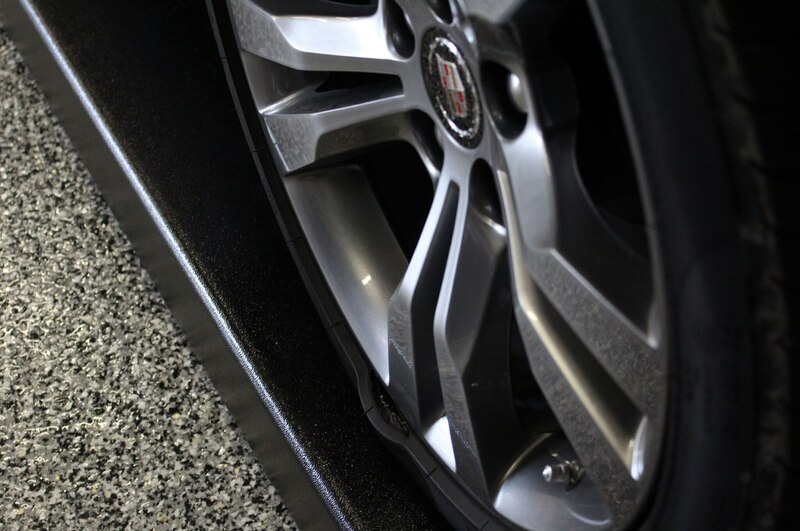 When the CTS tagged along for a trip to Tire Rack with our Jaguar F-Type, technicians there pointed out that the front tires on our Cadillac are severely cupped, likely exacerbating the tire roar over concrete stretches of highway. They guessed the tire wear is due to, ahem, enthusiastic cornering. The bottom line is that the car is now pretty loud at 75 mph. 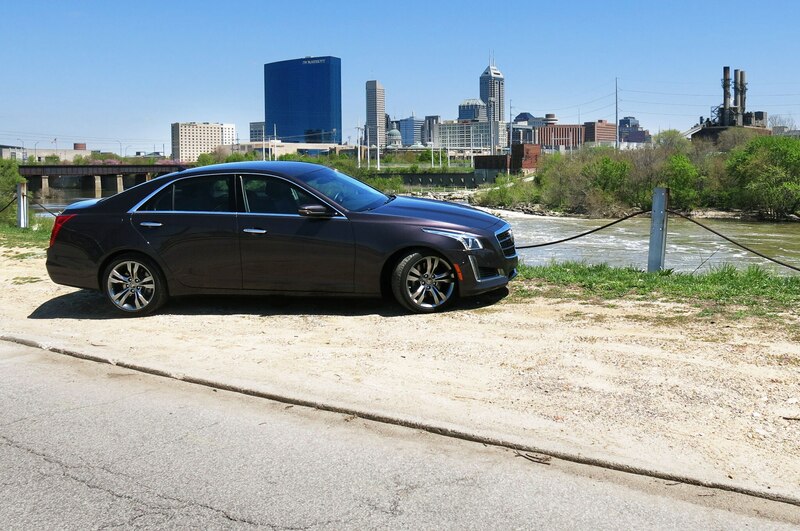 As much as I understand why some drivers say the CTS is too sporty for everyday driving, I still think it fits the big American luxury-car mold, lapping up miles with ease. I slump into the leather seats, engage the cruise control, and listen to “This American Life” podcasts as I rush west through Michigan and then south through Indiana to the state’s capital. It’s a dull drive with nothing to see except cornfields and flat, straight freeways, so comfort and convenience take precedence. Despite the road noise and twitchy steering, I emerge from my 600-mile round trip relaxed rather than fatigued. 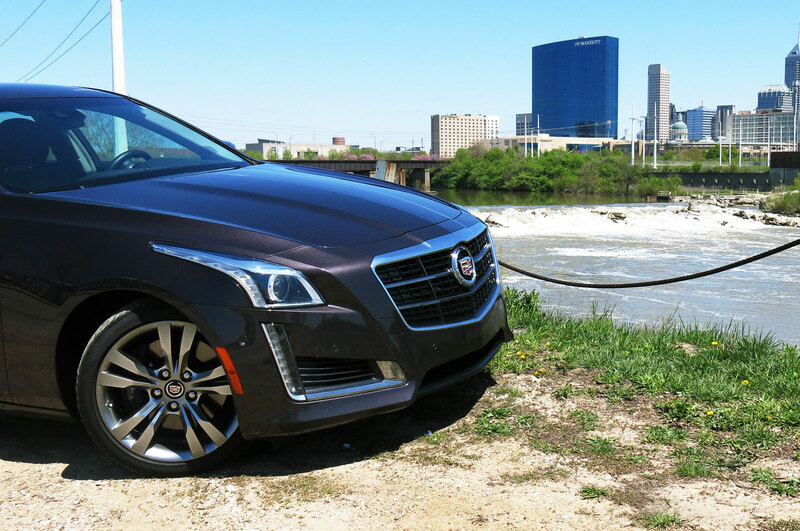 On a boring drive through the Midwest, our CTS is a perfectly capable long-distance cruiser. 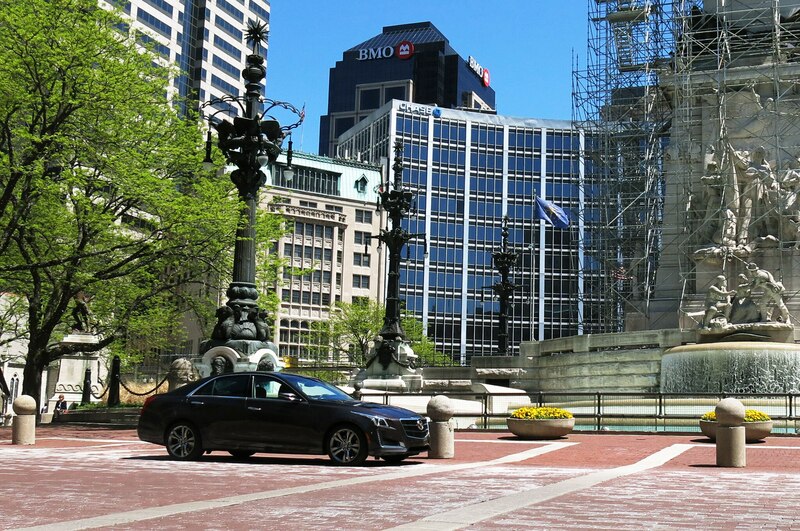 Its ride is comfortable, its cabin well-insulated, its navigation system faultless in directing me to downtown Indy. I no longer get bent out of shape about CUE’s lack of buttons because I can change the volume from the steering-wheel controls and make Bluetooth calls with voice commands, and I don’t change the climate-control temperature more than a couple of times during my drive. Instead, I just sit back and enjoy that the CTS’s generously sized gas tank allows me to drive more than 400 miles between fill-ups. My trip had one minor hitch. 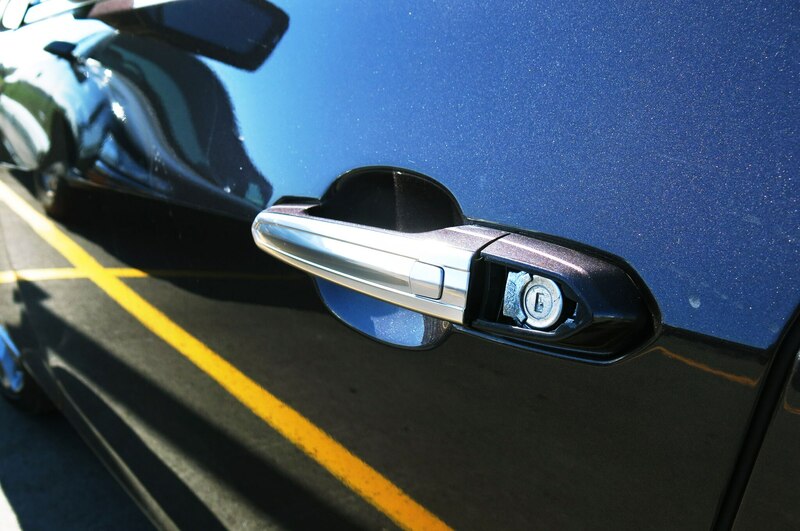 When I pulled the door handle to get back into the 2014 Cadillac CTS after stopping at a gas station, the plastic cover that usually conceals the keyhole fell onto the ground. You’re meant to pry the cover off if the car’s battery dies and you need to use the physical key to unlock the door, so I was able to snap the trim piece back into place without incident. A few weeks later, staff photographer Patrick M. Hoey noticed a much more serious problem: a huge split in the Cadillac’s right front tire. 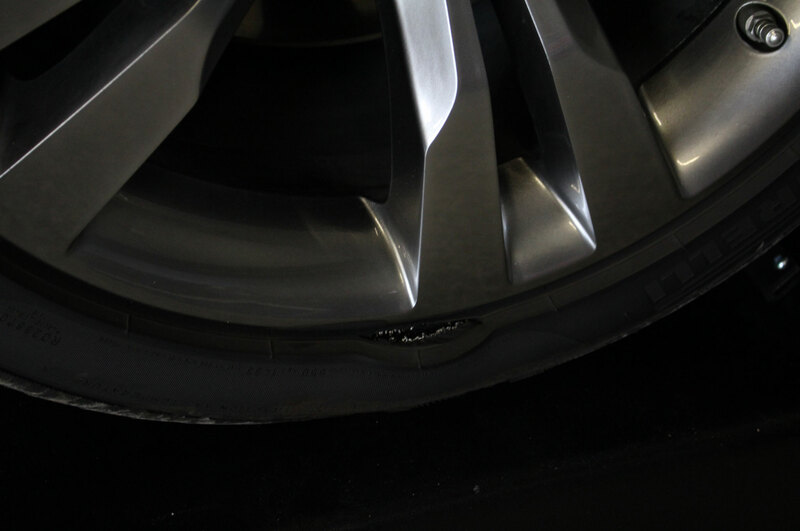 Although the tire still held air, the way its sidewall had bulged out was clearly unsafe for road use. 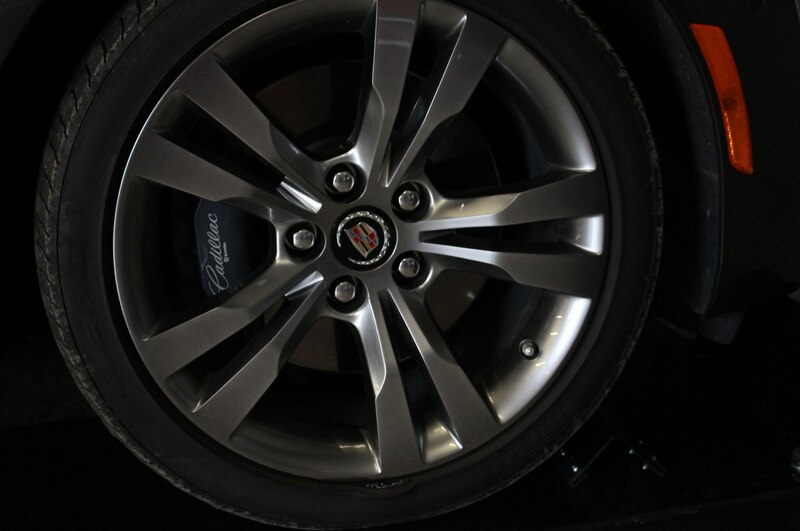 We quickly sourced a new Pirelli P Zero from Tire Rack, our official wheel and tire supplier, and put the Cadillac back into service with four fully functional tires. 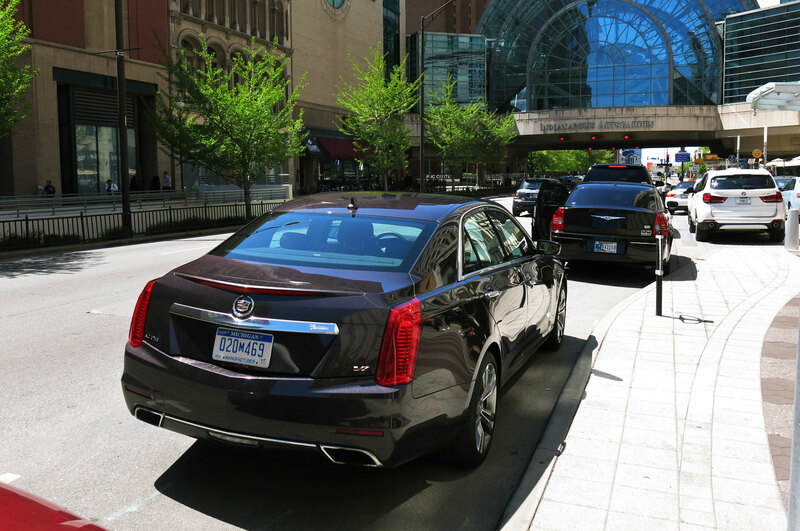 We’ll only put a few hundred more miles on those tires before the CTS Vsport goes back to Cadillac as our Four Seasons test nears its end.